There is an ease to this soft satin clothing seen at the Spring 2015 menswear runways shows. 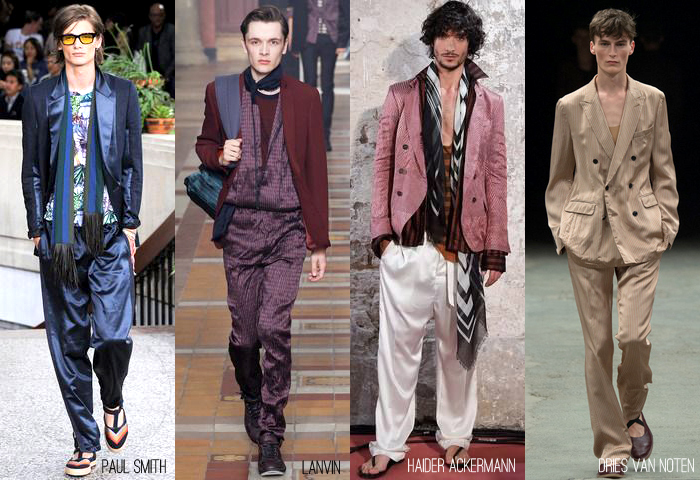 Haider Ackermann has been a proponent of this fabric since he started his collection. They have an almost pajama-like look to them; comfortable and rumpled as though you just rolled out of bed.